A group of black pastors asked the Smithsonian in Washington D.C. to remove a sculptured bust of Margaret Sanger who founded Planned Parenthood and is responsible for millions of the deaths of black babies. In fact, the original reason Sanger founded Planned Parenthood, with locations almost all being near poor black neighborhoods, was to eradicate, or reduce the number of blacks in America through abortion. Diabolical, it seems? And the Left heralds Sanger like a hero. Where are the true racists in America? Planned Parenthood has been engulfed in all kinds of scandals following the release of two undercover videos that show planned parenthood selling baby parts and offering abortions to underage girls. 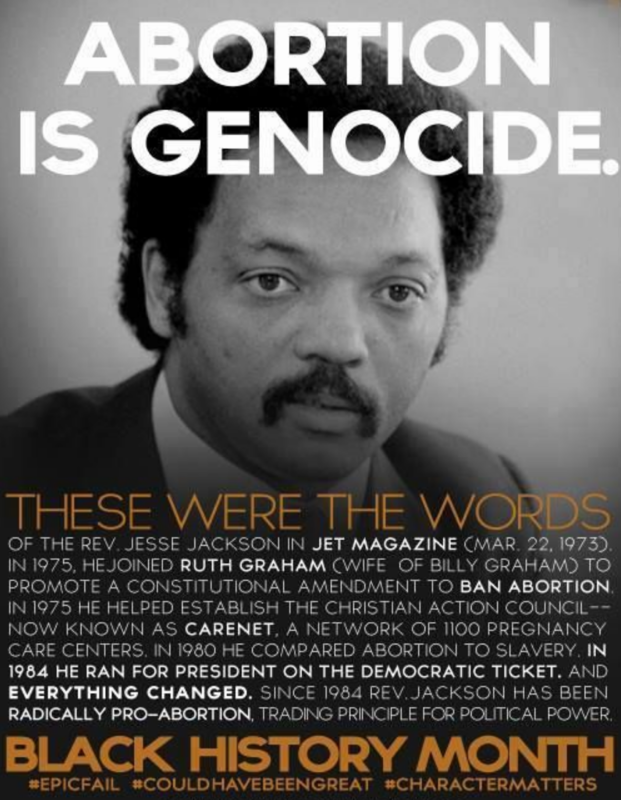 Planned Parenthood, a front for the solution of black population problems is the largest abortion provider in the United States. On the Planned Parenthood website, the organization compliments Margaret Sanger as one of the pro-choice movement’s “great heroes.” Sanger started the American Birth Control League in 1921; it became part of the Planned Parenthood Federation of America in 1942. Planned Parenthood praises Margaret Sanger for “providing contraception and other health services” and “advancing access to family planning in the United States and around the world.” but many people do not delve deeper in what Sanger actually believed. She was an avowed racist. A staunch hater of blacks and others she considered “low life”. The Smithsonian, funded mainly by Federal appropriations, has refused to remove the statue of noted racist eugenicist Margaret Sanger . There is a major double standard here when it comes to Left/Right politics as Federal Confederate statues are taken down across the United States while a statue on Government property of the founder of Black Genocide in America remains. 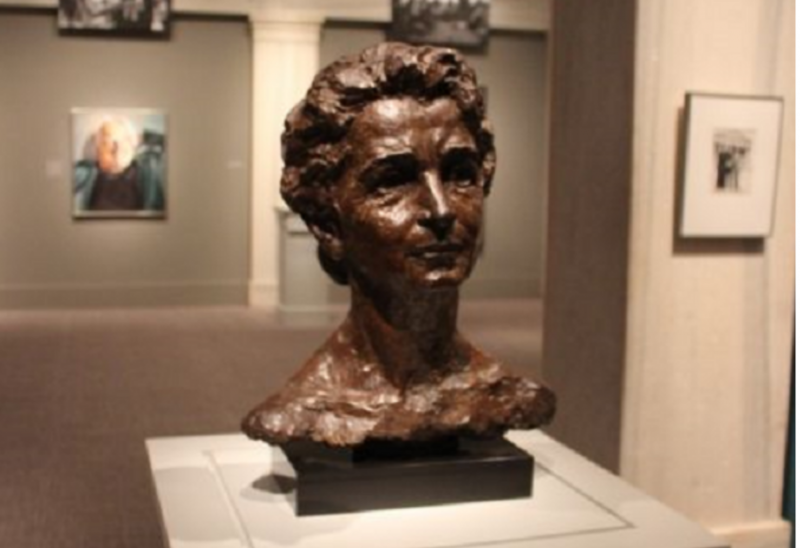 The Smithsonian has the Sanger bust in their “Struggle for Justice” exhibit, which is supposed to honor those of the past who were “champions of justice.” Another LIE of the Liberal Left. A sign beneath the Sanger sculpture says that Sanger was “profoundly affected by the physical and mental toll exacted on women by frequent childbirth, miscarriage and self-induced abortion.” The evil of the left is ALWAYS hidden behind the guise of compassion. 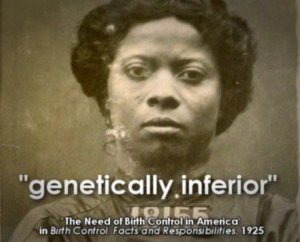 The black pastors wrote the Smithsonian a letter explaining that Sanger was far from a champion for their race because of her strong ties to the eugenics movement. Smithsonian director, Kim Sajet, said, “I received your letter regarding the false legacy of Margaret Sanger and respectfully decline to remove her portrait from the museum. The Struggle for Justice gallery brings attention to major cultural and political figures from the 19th century to the present day who fought to achieve civil rights for disenfranchised or marginalized groups.” An absolute LIE of who Margaret Sanger really was. Liberals LOVE to rewrite history. That is the only way they can advance their agenda. Lie about the past, lie about the present and lie about the future. 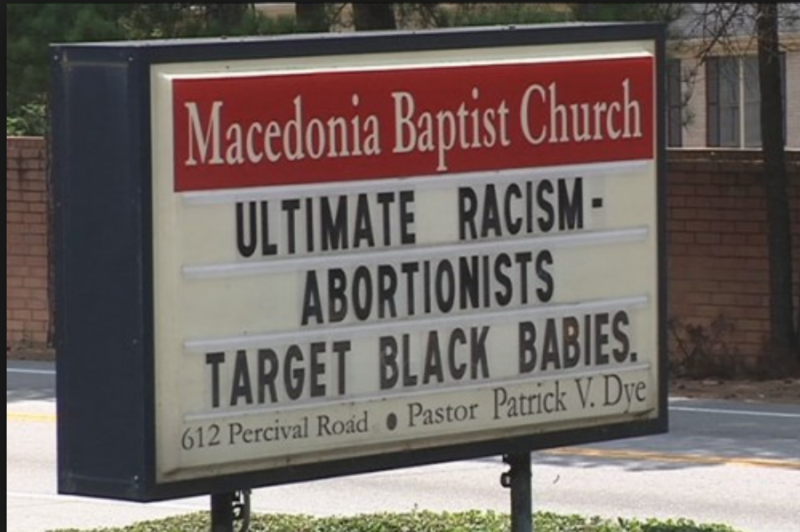 The black ministers do not plan to give up on their fight to have the bust of Margaret Sanger removed and mentioned that Sanger should be featured in an exhibit for proponents of mass genocide, such as such as Stalin, Mao, Mengele and Hitler, instead of at the Smithsonian. The Smithsonian receives 64% of its funding from the federal government. “it is better for everyone involved if a child’s life is snuffed out before he or she has a chance to cause problems for their family. Sanger was also vehemently against gays and of course any talk of gay marriage was preposterous. Additional sequel videos expose more shocking tactics of Planned Parenthood executives, with one director haggling over the price of body parts and joking about buying a Lamborghini. Unbelievably, the seventh video catches the abortion company harvesting the brain of an aborted baby who was still alive; and the eighth features the CEO of StemExpress who admits that Planned Parenthood sells fully intact aborted babies.